Marking cards for large advantages has been around for generations. Marking cards can be used for magician street magic performances, magic shows, cheating poker, and cheating any other kind of card game. The advantage can make an individual a lot of money on the side. There are many success stories you read about by using this card trick. Let's zoom in for a second. When it comes to marking cards there are a few strategies to use. 1. Physically making small markings on the back of the cards. 3. Other misc. cheats that are not as effective as 1 & 2. We are going to talk about using contact lenses to detect luminous ink. The contact lenses have small purplish filters built into the lens. When you put the contact lenses in your eyes your vision is transformed into a purplish vision (like a black light) and you are able to read luminous "invisible" markings. The markings can be applied to the back of red or blue cards. The contact lenses read both which is an advantage over the glasses which can only read the back of red backed cards. The contact lenses are the most effective and discreet way to read the invisible markings. The contact lenses are made of the same material regular contact lenses are made out of. The size of the entire contact lens is 13 mm which is the standard size of a contact. There are a few different sizes for the filter. There are 9 mm, 7 mm, and 4 mm standard filter sizes. 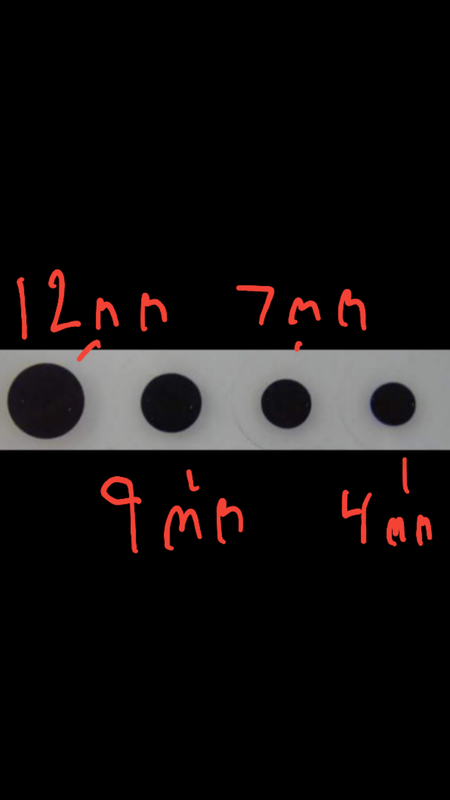 The 9 mm and 7 mm filters should be used for darker eyes (blends in with little to no change) while the 4 mm size filters are best with bright eyes (blue and green). The 4 mm filters will only cover the pupil. Somebody with brighter eyes can use the 7 mm and 9 mm filters but it is recommended that they use sunglasses to disguise their eyes. Note: The contact lenses should be treated like regular contact lenses. They should be stored at room temperature in a clean contact lens case. Solution should be use to clean the lens before and after each use. The life span of the contact lenses is determined by the care for the lenses. Usually (on average) you can squeeze out about 160 hours of use.